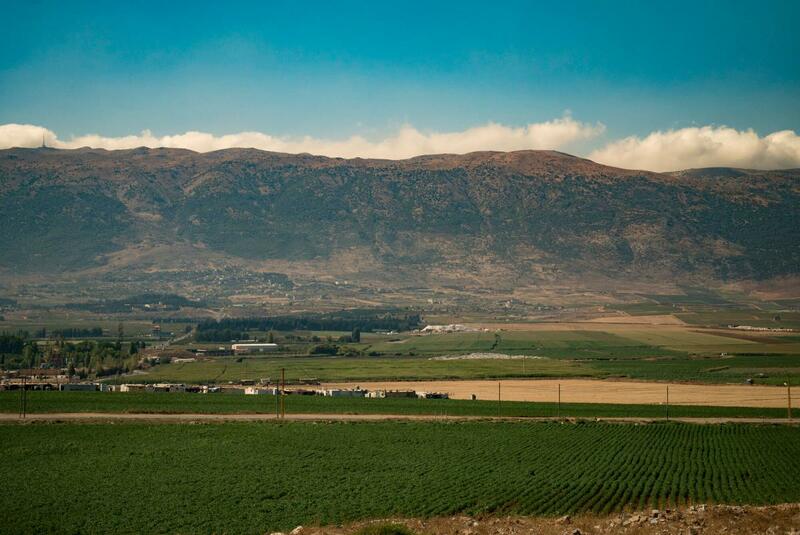 BEKAA VALLEY, Lebanon — Arabic bounces off the walls of a small room in a nondescript building in Lebanon’s notorious Bekaa Valley. About a dozen Syrian refugees carefully take photos of their diplomas and training certificates. One young man steadies a document on the brace around his left leg — a reminder of the civil war that has driven millions from their country, many here to Lebanon. Jawad Kaysaneya was in his first year of college, studying to be a civil engineer like his father, when he fled eastern Ghouta shortly after the war started. War derailed his dreams, and continues to do so in Lebanon, where he’s lived since 2012. But dreams have a way of persisting, especially with a little help. 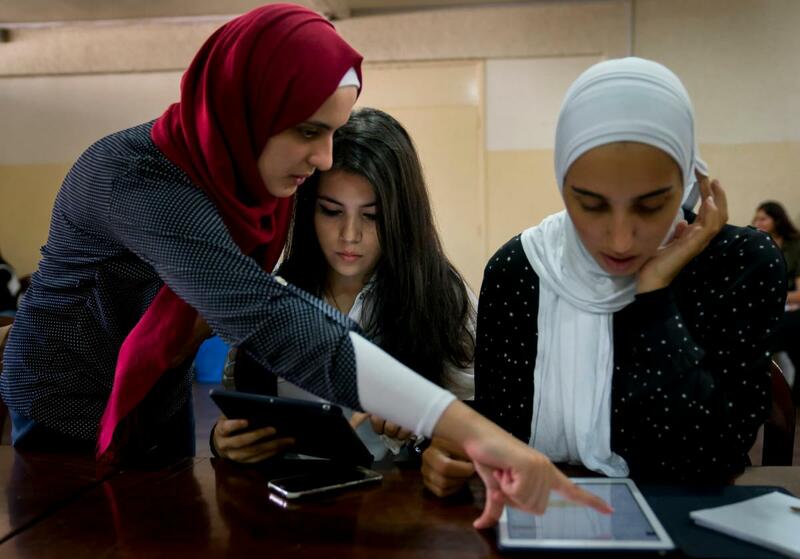 The web-based platform where these young Syrian adults are uploading their documents aims to remove obstacles to their aspirations. From UC Davis, the Article 26 Backpack is a new humanitarian tool that displaced people are using to securely store and share documents, such as transcripts and resumes, with universities, scholarship agencies and employers. Nearly 600 people have created virtual backpacks since the project launched in Lebanon this spring. The Institute of International Education cites Article 26 Backpack as it awards Keith David Watenpaugh a Centennial Medal for his contributions to international education. The Article 26 Backpack grew out of the efforts of UC Davis professor Keith David Watenpaugh to address the suffering caused by attacks on students and scholars, institutions of higher learning and academic freedom. Supported by a $500,000 grant from the Ford Foundation, it takes its name from that icon of student life plus the article in the Universal Declaration of Human Rights that established — 70 years ago next month — the right to education. Many refugees have fled without the papers so vital to getting an education or work. Their transcripts are incomplete, their diplomas are missing, or their professional certifications are not recognized. It is not only difficult — but also costly and even dangerous — to seek documents from Syrian universities and state agencies. Any physical documents refugees do have risk being lost, stolen or destroyed in the uncertain environments in which they live. The head of the burgeoning human rights program at UC Davis, Watenpaugh fears a generation is being lost to the ongoing civil war in Syria that has displaced or made refugees of more than 12 million people. About 1 percent of refugees have access to higher education, tremendously fewer than the 36 percent of global youth with access, according to the United Nations refugee agency. Like Kaysaneya, many are frustrated in their attempts to pursue education and put what education they do have to work. Watenpaugh is working with the Beirut-based university to reach out to refugees at camps and community centers as well as through social media. The guides, like Albared and Abo Alhawa, provide the human relationship important for working with people disconnected from their homeland, family and much of the world. Watenpaugh said he wants to take the Backpack to other areas of the Middle East most affected by the war in Syria. In the future, he sees its use for people affected by natural disasters, climate refugees and students with Deferred Action for Childhood Arrivals, or DACA, status in the United States. Not long after returning from Lebanon, Watenpaugh was at the Sacramento Food Bank to enroll Afghan refugees who came to the Sacramento area with special visas for working with the military in Afghanistan. The Backpack website is available to users in English and Arabic. By the end of 2018, it will be in Spanish, too. Watenpaugh plans to integrate academic counseling and job placement assistance into the Backpack. The American Association of Collegiate Registrars and Admissions Officers is already developing a team to assess how the credentials that refugees share through the Backpack could be accepted by universities around the world. At the Bekka Valley site, Watenpaugh finds Kaysaneya fresh with disappointment that he didn’t get a scholarship. But now that he’s nearly done setting up his Backpack profile, he plans on using it to apply for future opportunities.